Many people lose teeth to accidents, tooth decay, and even gum disease. A lost tooth may be cosmetically unappealing, but it can also lead to oral health problems. 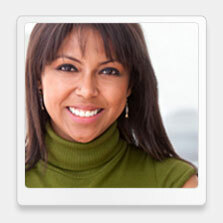 Adjacent teeth may begin to drift, or they may be at an increased risk of tooth decay or gum disease. Ultimately, the loss of a single tooth may put you at a higher risk of losing more teeth. Our West Hollywood dental implants specialist often uses dental implants to replace missing or badly decayed or damaged teeth. While dentures and bridges can restore the appearance of the teeth you lost, a dental implant can actually restore the functionality of your teeth and improve your overall health. The implant replaces the root of the tooth and is implanted directly into the bone of the jaw, permanently anchoring your new dental restoration. Our specialist for dental implants in West Hollywood can use the titanium implant with a porcelain crown to feel, look, and function just like your own natural teeth. Not only can the implant restore the aesthetics of your smile, but it can also strengthen your jawbone and help you maintain good oral health. Not all patients are good candidates for dental implants. If you have uncontrolled high blood pressure, diabetes, or smoke, your ability to heal may be compromised. However, if you are healthy enough to undergo oral surgery or a simple extraction, dental implants may be an option for you. Dr. Bijan Afar, our West Hollywood dental implants expert, is a periodontist with extensive experience in the field of dental implants. After assessing your medical and oral health history, Dr. Afar, our specialist for dental implants in West Hollywood will recommend a treatment plan that will address your concerns. This may include replacing missing or severely decayed or damaged teeth with dental implants or using dental implants to anchor more extensive restorations, such as bridges or partial or full dentures. 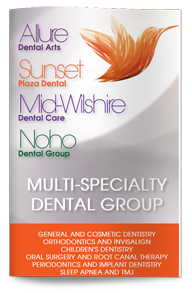 Contact our office today to schedule an appointment with our cosmetic dentist in West Hollywood to learn more about your options for dental implants or other dental restorations.